So, one day you open the fridge and find left over cheese and a handful of scallions. You better use them now or they will go to waste. Hmmm. . . no, we had pizza delivery last night. No, not grilled cheese sandwiches. No, need something more substantial for dinner than a cheese board. Ahhh, why not quiche? Quiche is a great go-to meal that makes good use of those bits of leftovers sitting in the fridge. Of course it’s nice to have some pâte brisée in the freezer as well. Just thaw and you are ready to create. Our recipe for pâte brisée makes two crusts. Use one today and freeze the other. 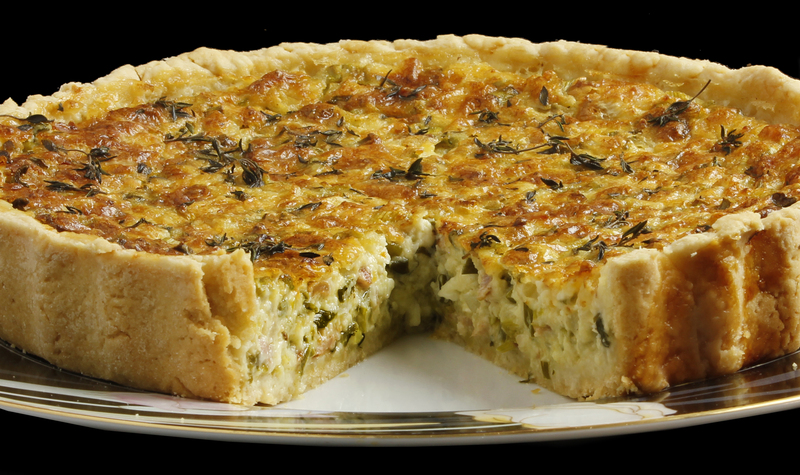 Things we love about quiche: It’s easy to make. It can be served warm or cold. 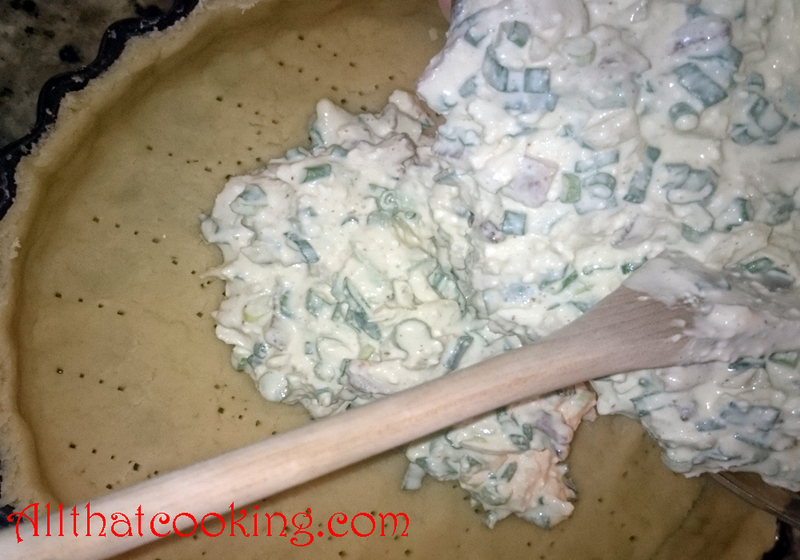 It’s an ideal picnic dish as well as a dish that can be served at more formal get-togethers. Dress it up or dress it down. Use what you have on hand. Got bacon, fish, veggies? Use them in a quiche. Toss in fresh herbs and life is good. 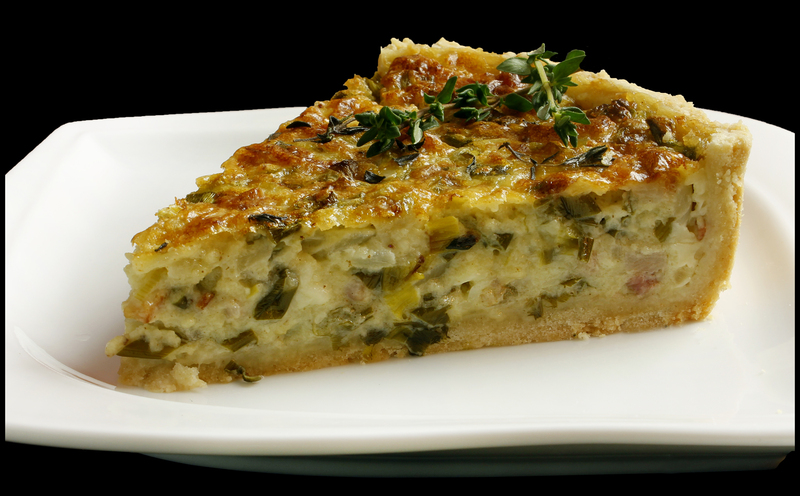 Served with a fresh salad or bowl of soup, you really can’t go wrong with a quiche. Cook bacon until crispy, drain on paper towels then crumble. 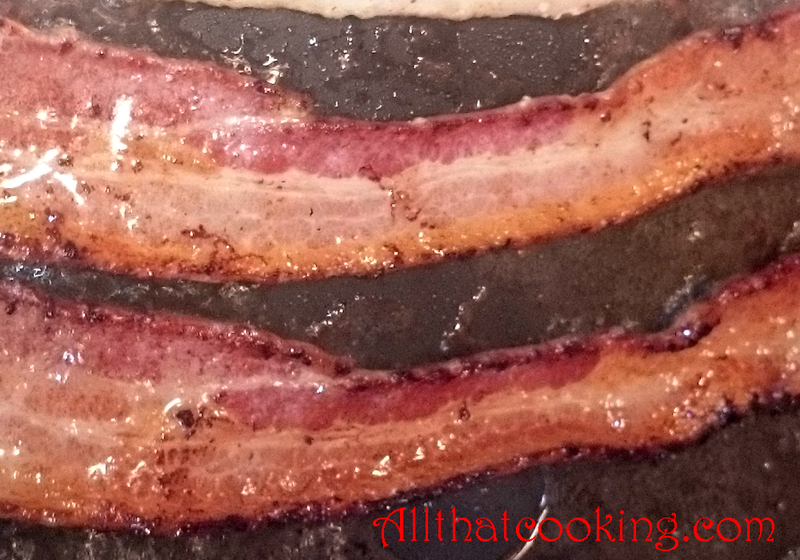 Keep bacon fat in the skillet. 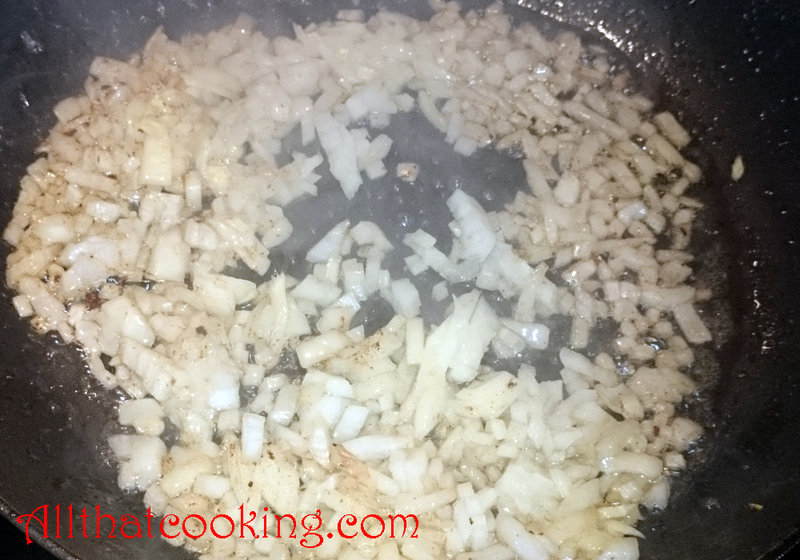 Cook onions in the bacon fat until translucent. 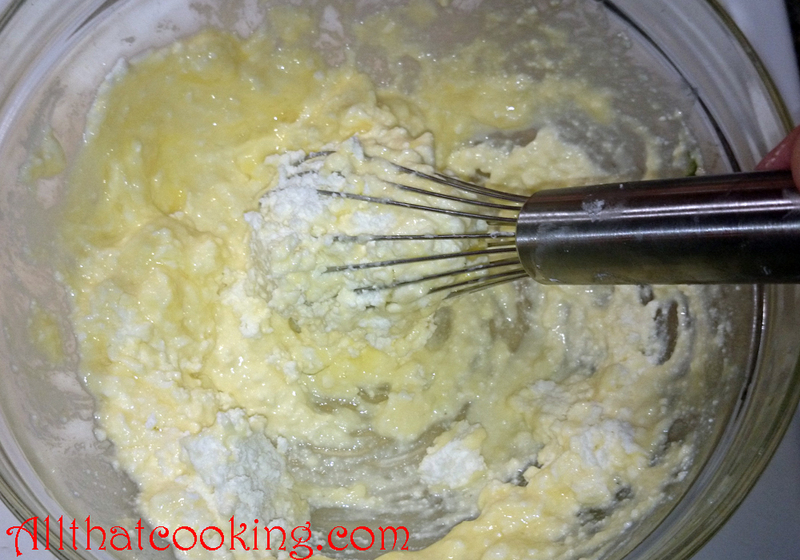 Whisk eggs and Farmer’s cheese together until smooth. 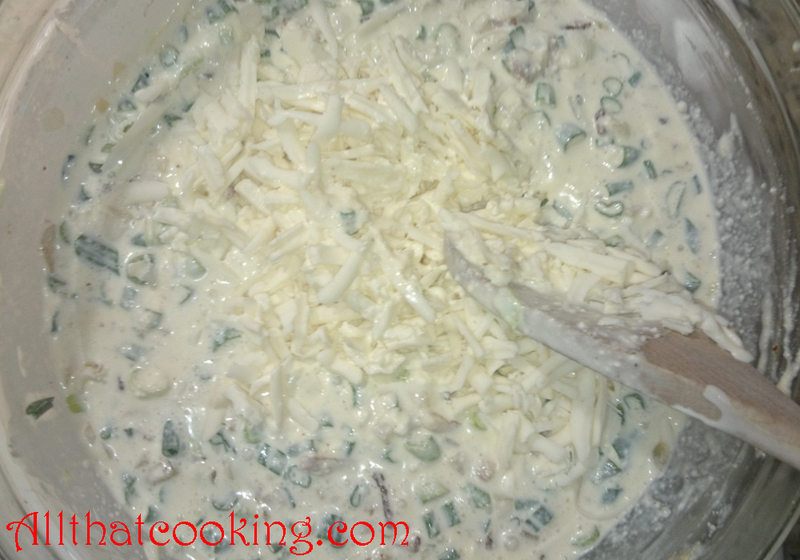 Stir in scallions, cream, bacon, onions and Queso Blanco. Blend well. 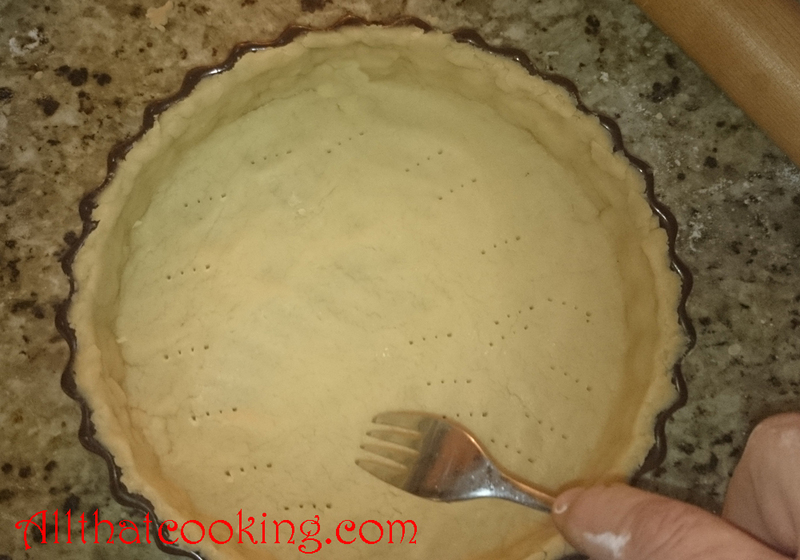 Lightly butter a 9-inch pie or quiche pan. Roll the dough out on a floured surface to about a 12-inch round. 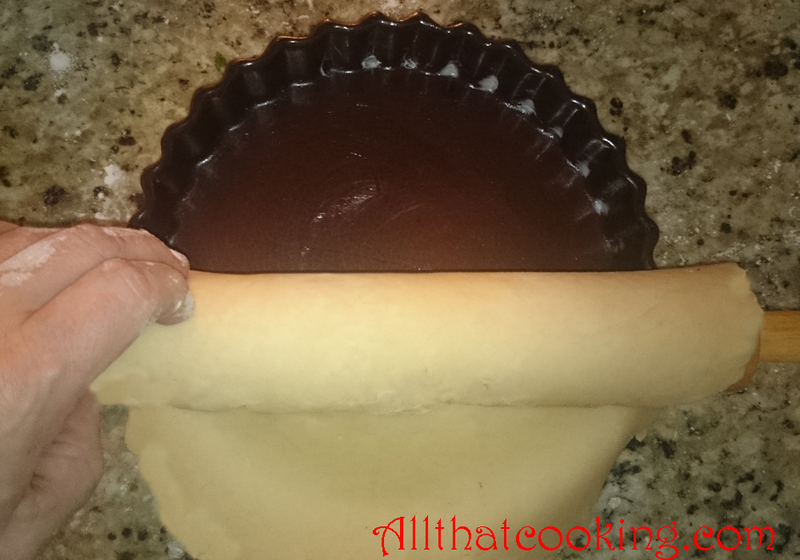 Roll the dough up onto the rolling pin, then unroll it over the pie pan. 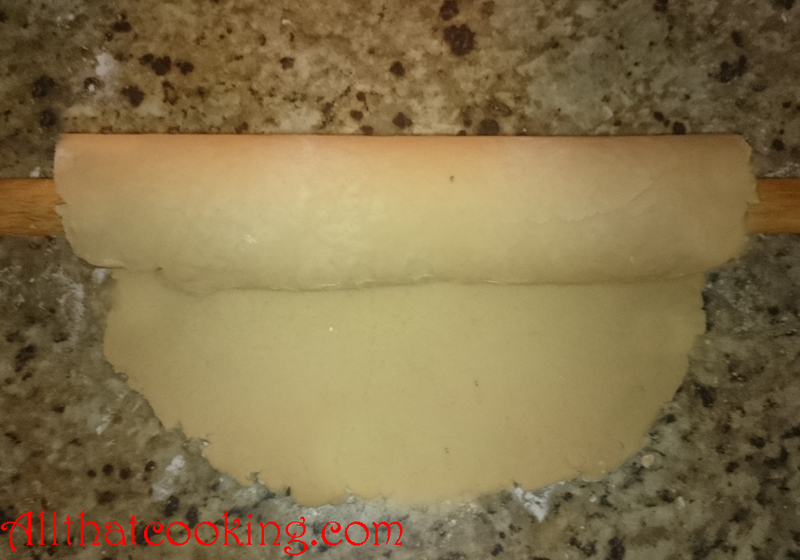 Poke some holes in the dough to prevent it from shrinking while baking. Evenly spread cheese filling into the dough. Bake in preheated 375-degree oven for 40-50 minutes. 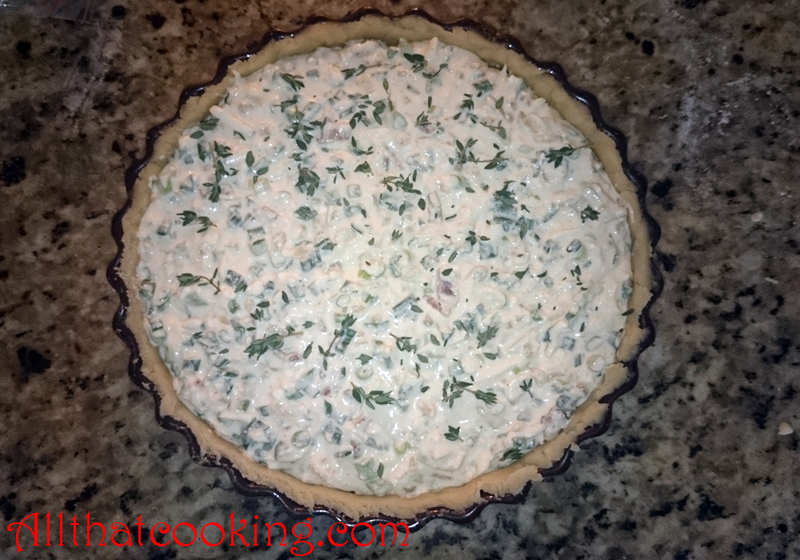 Gallery | This entry was posted in Baking, Main Dishes, Quiche, Savory Pies and tagged Pâte Brisée, quiche, savory quiche, two cheese quiche. Bookmark the permalink. 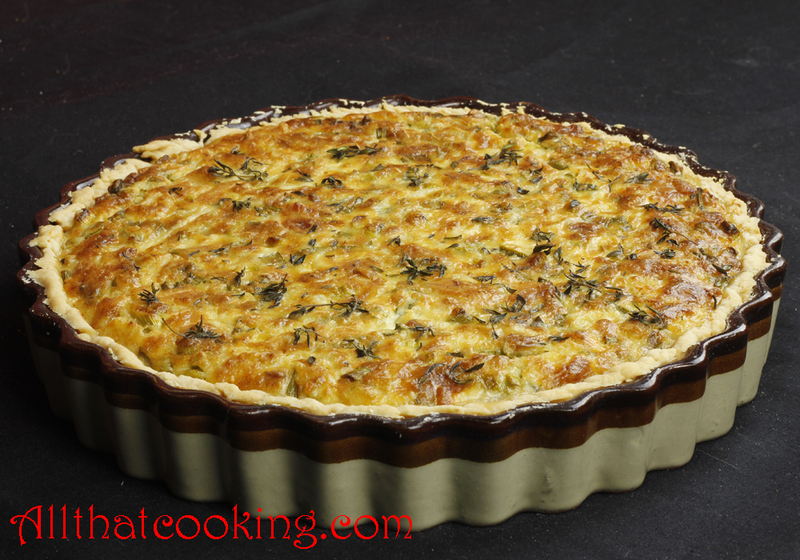 Talk about the perfect quiche! You know what? I have some leeks, Feta and Gouda left in the fridge and I am going to turn them into a quiche too. Thanks for sharing this fantastic recipe, Gina and Oli. Sounds like a plan! Feta and Gouda are two of my favorites. Truth be told, I’ll take cheese instead of ice cream any day. 🙂 Enjoy. Wow. This was delicious. I’ve never made a crust before and it came out perfect. My modifications as I needed to do this vegetarian: I started with 4 strips of Morningstar strips cooked in a little oil. I removed those, set aside to cool and crumbled them into the recipe. Additionally, I sprinkled a little Goya jamon seasoning to the onions. Since there was no farmers cheese at the store, I brought Queso Fresco as a substitute (similar in texture and crumbles nicely), and then used cheddar/colby for the 2nd cheese. I also added a little cracked pepper. The thyme looked really nice on top. I did have to bake it 40-45 minutes (could be my oven). Now that the trial run was such a success (receiving my mother’s seal of approval), I will be making it for my colleagues at our weekly lunch. My turn to bring the main dish. Thanks Gina and Oli. Terrific recipe. Yummy, this sounds so good. Thanks for sharing this great recipe.